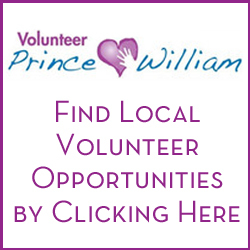 Prince William Area Free Clinic needs volunteers to offer free medical care to low income and uninsured individuals in the community. Positions include administrative, scribing, translators, doctors and nurse practitioner. Share just a little time with this wonderful organization and make a huge difference in someone’s life. Please fill out an application online. Please call JQ with questions: (703) 496-9561. ACTS needs administrative volunteers age 18 + in their Dumfries and Triangle locations Monday-Friday. They also need volunteers at the Beverly Warren Shelter in Dumfries to clean and organize a large closet. Please call Shirley for more info on these positions: (703) 441-8606 or email. Prince Historic Preservation and the Civil War Trust need volunteers on Saturday, April for the clean-up at Bristoe Station Battlefield Heritage Park from 8:00 a. m.-12:00 noon. This is a great way for Civil war enthusiasts to help maintain and preserve sites across the country. Please call (703) 366-3049 for more info. The Autism Society of Northern Virginia needs volunteers on Sunday, April 28 for the 8th Annual Autism Acceptance Walk and Family Festival at the Fredericksburg County Fairgrounds. 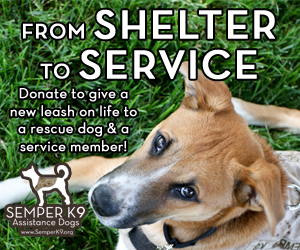 Duties include registration, clean-up, T-shirt distribution and activities assistance. Please email Kristen for more info. Walk MS Manassas needs volunteers for the walk on Saturday, May 4 from 9:00 a. m.-12:00 noon with registration, set-up, photography, singing the National Anthem and cheerleading. Please call Lexi at (202) 375-5615 for more info. Experienced kayakers, canoeists and Jon boaters needed on Saturday, April 20 from 9:00 a. m.-2:00 p. m. for the 10th Annual Upper Occoquan River Clean-up. There are many entry points for your boats. Please pre-register here. There are on- land sites as well. Mark your calendars for Saturday, May 4 for the Annual Comcast Cares Day. This year Leadership Prince William will fix up the ARC Child Care Center in Dale City. They need tons of volunteers to help with this cause. Please visit their website for all the info and to register for this event. The Quantico Creek Clean-up, in partnership with the Town of Dumfries, is rescheduled for Saturday, April 13 from 9:00 am-12:00 noon. This is a great way to solve the plastic pollution in the creek. Cleanup supplies will be provided; please wear boots and dress for the weather. Please contact [email protected] to learn more. Leesylvania State Park needs volunteers for their monthly shoreline cleanups to pick up trash and drift wood. The work days are April 13 and May 18. Please register by calling the visitor center at (703) 583-6904 so they have your name to waive the park entry fee. Area Agency on Aging needs volunteers to deliver Meals on Wheels to homebound seniors throughout the community. It just takes about two hours to pick up the meals from either senior center and deliver to your clients. They also have a need for volunteers at the Adult day Healthcare Center to play games with gentlemen and to assist with bingo on Friday mornings and Monday afternoons. Please visit the county website to learn more: pwcgov.org/government/dept/aaa/pages/volunteer. Youth for Tomorrow also needs Male Mentors to coach a young man on some basic life skills and find the right path into adulthood. It’s a great way to get out of your comfort zone and make a positive impact on a youth! Please register online.